The Future of Furniture Shopping? It’s All Online! It’s no secret that eCommerce is growing at a massive pace, with the vast majority of shoppers making at least some purchases online. But does the internet hold the same appeal for consumers making large furniture purchases? 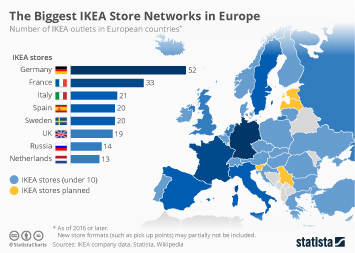 As the following infographic, created in partnership with Slovenian furniture retailer Lesnina XXXL show – the answer is a resounding yes! 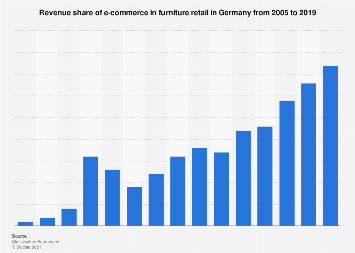 Online furniture sales have grown dramatically since the early 2000s, fueled mostly by the wider selection of goods and the convenience of avoiding both crowded stores and the self-transport that so often comes with them. 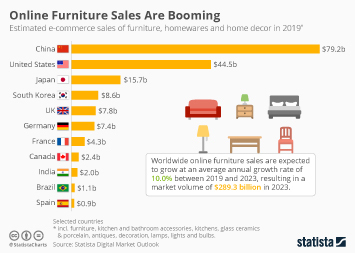 As technological advancements provide consumers with more and more specialty services, online furniture shopping can only grow in popularity. Online consultations with interior designers will tap a previously underserved market for boutique furniture shopping experiences, and the wide adoption of augmented and virtual reality will mean consumers can get a preview of their homes’ new look without lifting more than a finger. 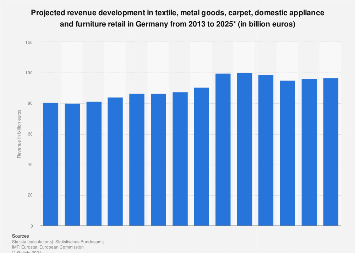 This chart shows some interesting facts about the future of furniture shopping.